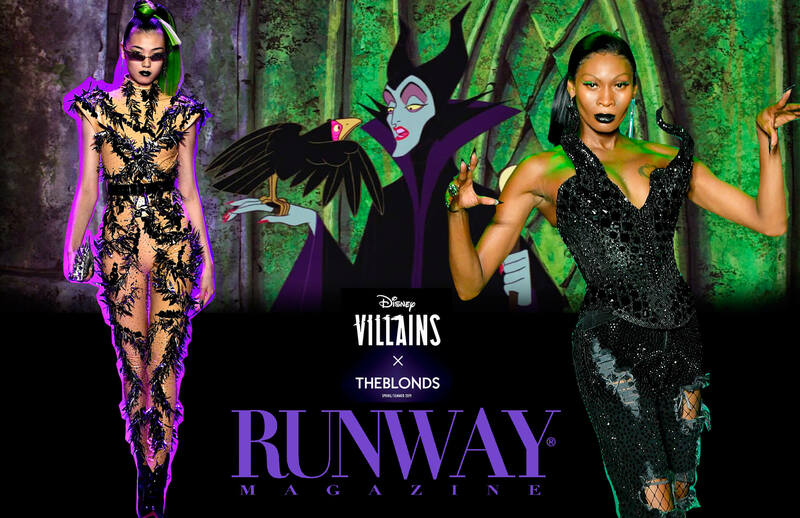 Disney Villains and The Blonds – Spring Summer 2019 NYFW. 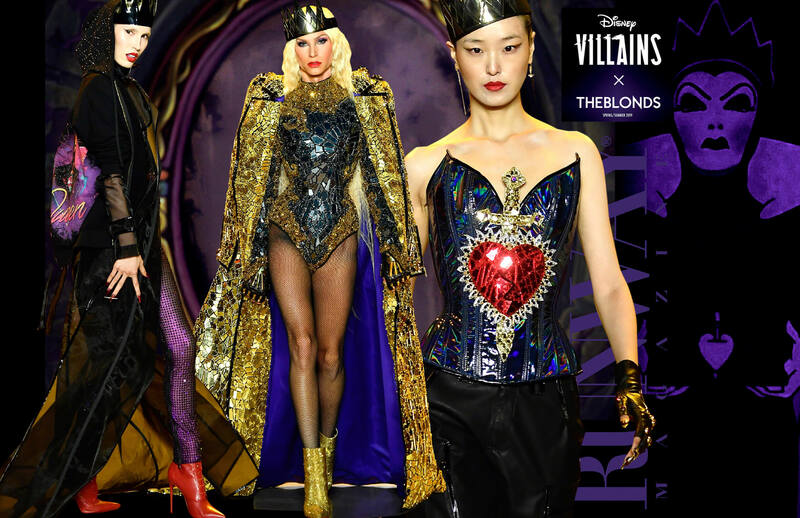 Ones again The Blonds surprised New York this fashion week with the show in collaboration with Disney – Disney Villains and the Blonds. 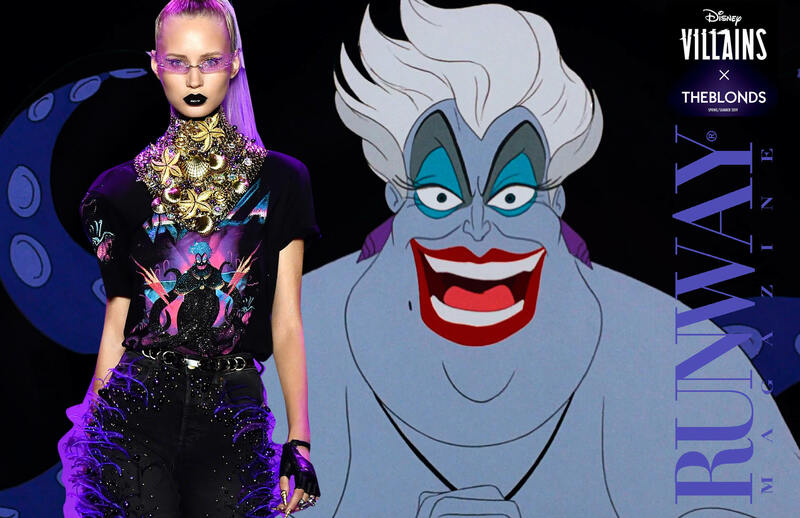 This was the most spectacular show at New York fashion week for Spring Summer 2019 season. 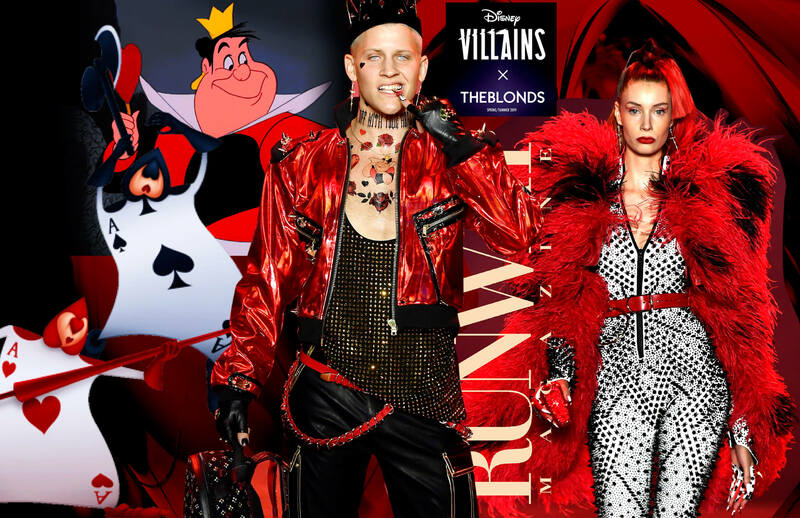 On Friday, September 7, Disney Villains took center stage at New York Fashion Week when luxury fashion brand THE BLONDS presented their SS’19 collection which inspired by some of Disney’s most wicked characters. 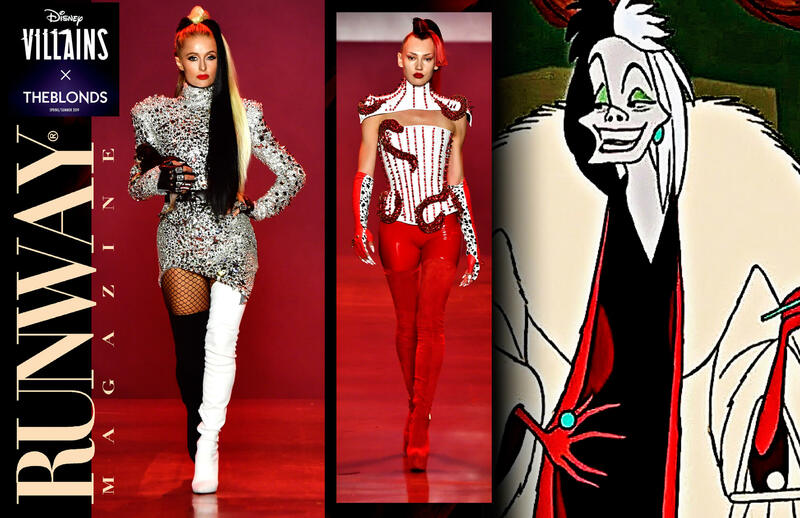 Cruella De Vil, Maleficent, Evil Queen, the Queen of Hearts, Dr. Facillier, Ursula and her dark eel minions Flotsam and Jetsam were reimagined by THE BLONDS’ designer Phillipe Blond and creative director David Blond, who are known for creating glamorously over the top pieces with a rebellious twist. 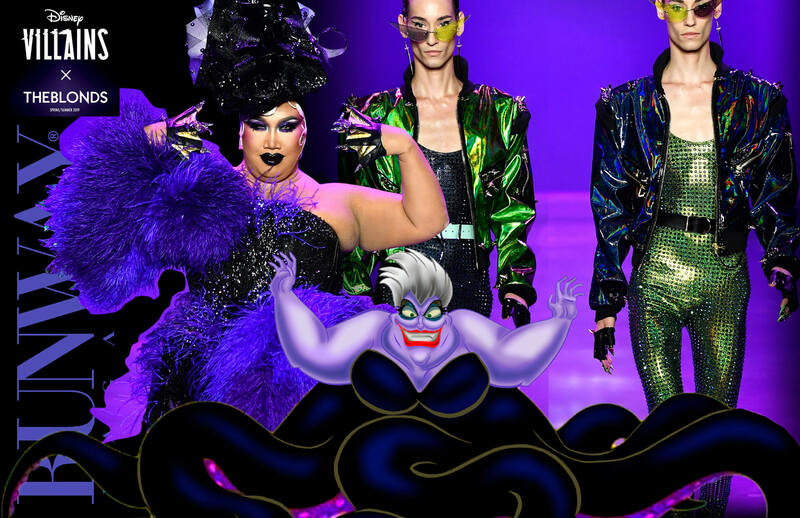 The show cast featured Paris Hilton, Patrick Starrr, Shaun Ross, Desmond is Amazing and Dominique Jackson of POSE (FX) closed the show. 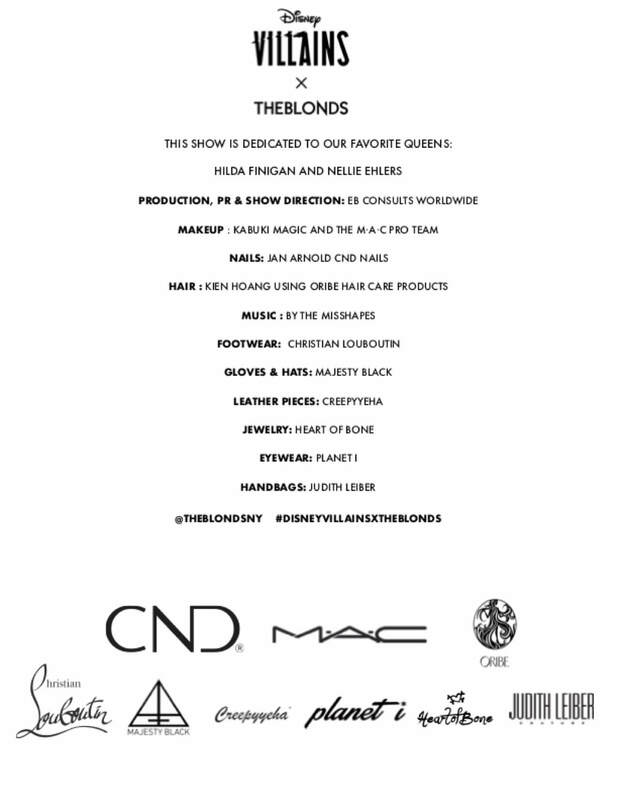 Front row guests included Gigi Gorgeous, Hennessy Carolina, JWoww, Saweetie, Chanel West Coast, Britney Young (GLOW), MJ Rodriguez & Angelica Ross (POSE), Ajiona Alexus (13 Reasons Why) and more. The bespoke looks featured during the runway show served as inspiration for a complementary capsule collection by contemporary womenswear brand Lauren Moshi, which will be available for purchase in-store and online immediately following the show. WHO: Hennessy Carolina, JWoww, Saweetie, Chanel West Coast, Gigi Gorgeous, Nats Getty, Britney Young (GLOW), MJ Rodriguez & Angelica Ross (POSE), Ajiona Alexus (13 Reasons Why), Poppy, Lizzo, Sharaya J, Carmen Carrera, Miss J Alexander, Cailli & Sam Beckerman, Johnny Wujek, Carlyne Cerf de Dudzeele, Steven Klein and more.